Stop using inefficient bags, tea balls, or hop spiders in your boil kettle as they limit hop utilization - let your hops roam free! The Hop Stopper 2.0 maximizes hop and hot/cold break filtration while saving time. No after boil recirculation required, no settling time required, no whirlpool required. Start draining immediately after the boil to better lock in those bright late addition hop flavours. Works equally well with intensely hop-heavy IPAs, DIPAs, and NEIPAs with pounds of hops, to delicate light lagers with only an ounce or two. Pair with the Hop Stopper 2.0 Keg Edition for the best filtering in the keg - no more clogged dip tubes or hop bits in your glass! Which Hop Stopper is right for me? 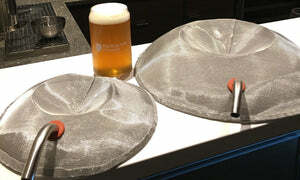 Hop Stoppers are available for boil kettles from just about any manufacturer as well as corny serving kegs (see below). 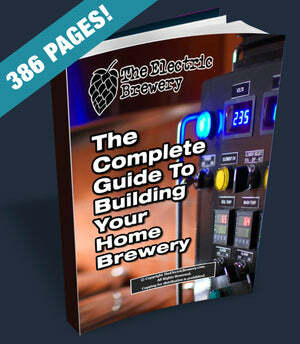 See the individual product pages for complete details and FAQs. Not sure what's right for you or need something custom? Contact us with your kettle brand, size, and type of fitting.